The Sinkology 3.5" Kitchen Basket Strainer Drain is designed and manufactured for easy installation and durability. Solid and durable stainless steel construction and removable post styled basket makes this the perfect drain for any kitchen sink. The updated design improves performance while looking beautiful and making it easy to match to a variety of materials, styles and designs. 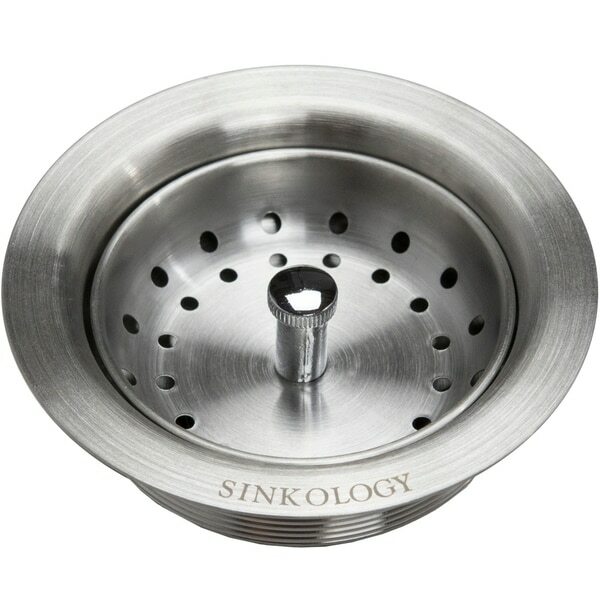 All Sinkology sink drains are also protected by our Lifetime Warranty. Dimensions 4.5 In. X 4.5 In. X 2.5 In.